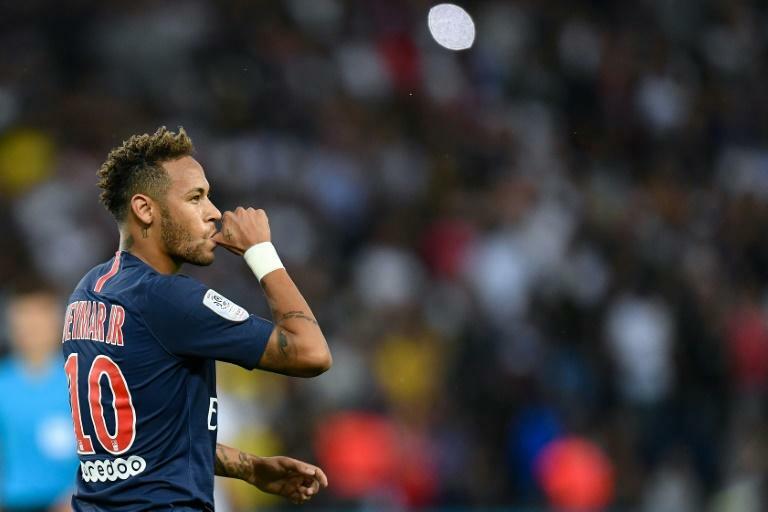 There were some glimpses of innovation under the new manager with Neymar, who scored in his first start for PSG in six months, playing as a false nine in a 3-0 home victory over Caen. Yet while the Brazilian superstar is back, PSG's three World Cup winners Kylian Mbappe, Presnel Kimpembe and Alphonse Areola appeared only to show the trophy they won in Moscow to Parisian fans. Edinson Cavani and the injured Marco Verratti were also missing. "We have to have some sort of second pre-season," Tuchel said. "But it's no longer the pre-season, we are playing for points and it's important to win because we are aiming very high." Club captain Thiago Silva agreed that the team was not firing on all cylinders. "Some players arrived late, they are not ready, me for example," Silva said. The PSG lineup contained three 19-year olds making their first Ligue 1 starts -- Stanley Nsoki and Colin Dagba as the full-backs, and Antoine Bernede in midfield. Tuchel also risked ruffling Neymar's ego by replacing the Brazilian with 18-year-old Timothy Weah with eight minutes left. Weah then scored. The opening-day victory followed a 4-0 win over Monaco, last season's runners-up, in the French Champions Trophy in China, and suggests that PSG still have the edge on their domestic rivals. "There are two leagues," Prince Oniangue, the Caen captain said. "Paris is not in the same championship as us." After an opening weekend on which not a single match ended in a draw, PSG are second in the table on goal difference behind Marseille, who thrashed Toulouse, 4-0. Marseille's World Cup winner, Florian Thauvin came off the bench with eight minutes left on Friday and scored. He said returning to the field as a world champion had lifted him. "It gives you wings, it gives you strength, it gives you confidence, a little bit of everything," he said. "We were carried by all the French during the World Cup, we proudly represented them, they were all very happy. And today, it was pure happiness for me to return to the pitch." Having opened the season last Friday, Marseille close the second weekend when they play at the most remarkable opening-day winners, Nimes. Nimes came from 3-1 down to win 4-3 away to Angers last Saturday. The visitors scored their last two goals came in the final five minutes after being reduced to 10 men. "Losing 3-2 with 10 against 11, I think only the 10 on the field still believed," said Nimes coach Bernard Blaquart. "My men are crazy." The weekend kicks off on Friday with a match between two more opening-day winners as Reims face Lyon, who hope their World Cup winner Nabil Fekir will be fit to make his first appearance of the season. Promoted Reims scored after two minutes away to Nice, in their first league match under Patrick Vieira, and then clung on to win 1-0.